I was the best Bluebird in my troop, at least when it came to candy sales. I don’t remember most of what I did as a Bluebird, but I have vivid memories of shilling treats, the awards I earned for my sales numbers, and the resulting “jamboree” I got to attend. Some people grow up as a Boy Scout or a Girl Scout, but I was a Camp Fire Kid. Every January, we sold a variety of treats (our big sellers were mint patties, some turtle clusters, and Almond Roca), door-to-door or seated at a card table in front of the local grocery store. My parents—either genius or negligent—allowed me to peddle my goods during a snowstorm, which led to extremely high sales and a staggering quantity of hot chocolate in my belly. I’ll never forget that reply. As a child, I was completely baffled. Yes, of course you would eat the food that you bought. Why wouldn’t you? It was only later that I realized she meant that delicious Almond Roca would be too great a test of her self-control, and she’d find herself sneakily unwrapping those toffee bricks while no one was looking, perhaps hiding the wrappers beneath other rubbish in the trash can so as not to be confronted with evidence of her own gluttony. You guys, I’m gonna be straight with you: If you bake these cookies, you will eat them. You will probably eat an undignified number of them, right in a row. And if you’re anything like me, you won’t mind one bit. You didn’t bake cookies just so you could stare at them. You baked cookies so you could enjoy sweetness, caramel notes, and unbeatable chewiness. Maybe you baked them because you wanted something with which to make the perfect ice cream sandwiches. Maybe you just wanted to make someone fall in love with you. These are all good reasons to make these cookies. Oh, did I mention they’re incredibly simple? Place sugar in a mixing bowl and set aside. In a heavy-bottomed saucepan or skillet (not nonstick), melt butter over medium heat, stirring occasionally. Once butter melts and starts to foam, stir continuously until foam starts to subside. When the flecks on the bottom of the pan begin to brown and butter smells nutty, remove from heat. Quickly pour browned butter on top of sugar and stir to combine (note that sugar will not entirely absorb all the melted butter). Stir in egg and vanilla until combined, then add flour, baking powder, salt, and baking soda. Stir until well-blended. Refrigerate 1 hour. Preheat oven to 350ºF and line a baking sheet with parchment or a silicone baking mat. With a 1 1/2 tablespoon scoop, portion dough into balls, roll in your hands to smooth, and roll in brown sugar. Place 9 balls on sheet, flatten to 1/2-inch thick, and bake 10 minutes. Let cool on sheet 5 minutes, than transfer to wire rack to cool completely. Repeat with remaining dough balls. Once cooled, store cookies in an airtight container. They’ll probably last 4 or 5 days if you don’t eat them first. Heather, I just made this dough and it smells good enough to eat already! Slurrrrrp. I’m refrigerating it until tomorrow so my cookies can still be warm by the time I get them to Book Party. I can’t wait to try them! I hope they came out well for you, Sara! Doesn’t that dough smell incredible? Todd is taking some to his coworkers on his business trip if he can pry them out of my hands. YUM. Lousy coworkers, taking all the delicious cookies! A friend of mine posted the link to this on Facebook. Anything that requires browned butter and dark brown sugar has to be wonderful and these are! So glad to have found this recipe and have it pinned on Pintrest so I can quickly access it again. I’m so glad you liked it, Millie! I also use Pinterest to access my favorite recipes. It’s so helpful to see the visual grid! 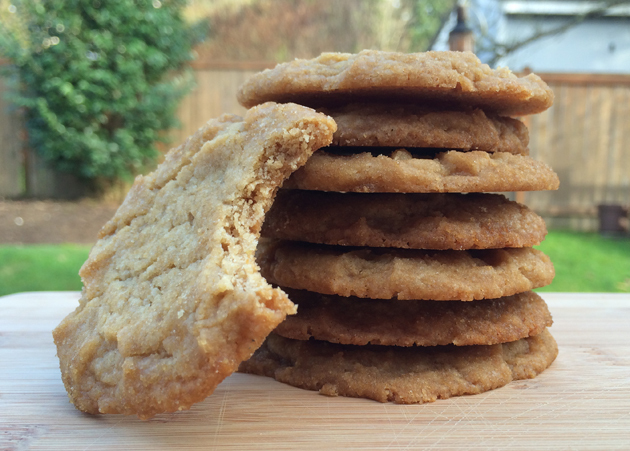 I love brown sugar and brown butter and cookies, so these were perfect for me. Thanks, H! Those three things really are perfect, aren’t they, Wendy? If stuffing my face with brown sugar and brown butter is wrong, I don’t want to be right. Snowy day here in BKLYN and I made these cookies to keep my soul warm. YEAH, girl! So glad you gave them a spin! 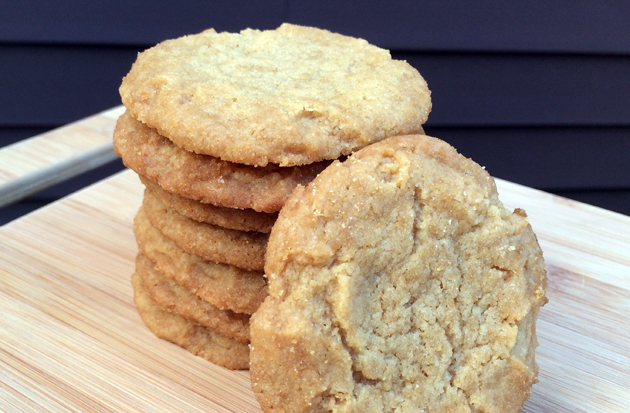 These sound AMAZING…I love browned butter. Do you think it will taste just as good/work with light brown sugar? Or a light-dark combo? Great question, Janina. While the molasses content is obviously different in light and dark-brown sugar, I’ll admit that I regularly sub one for the other if I only have one on hand and I’ve never had a recipe go bust. I think these would work just fine with light-brown. Dark brown is my preference because of the moisture content and caramel notes, but I think you’ll still get a delicious cookie!